Nintendo has recently released the next major update to their Switch systems, version 3.0.0, and the new update includes several new convenience-oriented options. 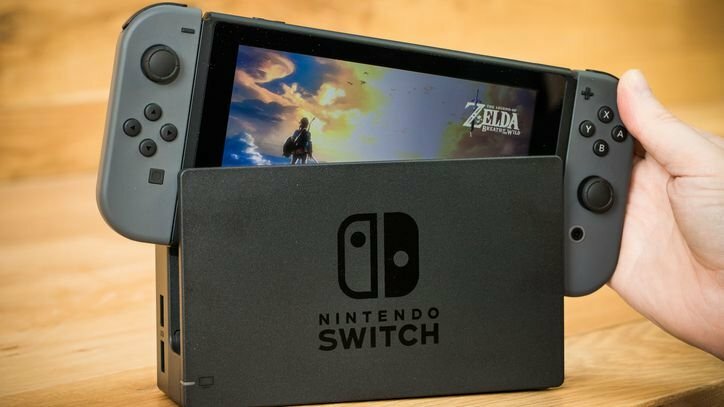 Updating the Switch console to the latest version is a fairly straightforward affair, and players looking to get the most out of their system should follow our simple guide to updating their Nintendo Switch. Nintendo has made updating the Switch a pretty painless process. Assuming the Switch itself is connected to the internet, chances are good that the system will automatically download the latest update. If it hasn't, however, there are a few methods users can take to get the latest update file. The first step needed to download an update is to navigate over to the System Settings option from the Home menu. Once there, select System, and then tap on System Update. This should manually download the latest update file. Once the update file has been downloaded, it's time to install it. Players will find that the Nintendo Switch system will automatically prompt them to install the update once the download is finished. The process might take some time, and the update will require a system reboot, so players would be smart to save all their in-game progress and quit the game before attemtping to update their system. What's New In The Latest Switch Update? As of the time of writing, the latest update for the Nintendo Switch system is update version 3.0.0. This was a major update for the Switch that brought in several new features, including the option for players to import their friends from their Nintedo 3DS and Wii U systems onto the Switch's unique Friends List. Update 3.0.0 also offers players the options to opt-out of notications for when their friends come online, search for missing Nintendo Switch controllers, search for and subscribe to game news that will appear on the News List screen. This latest update also includes the option to chance the Switch's volume setting from the Quick Settings menu. Now that your Nintendo Switch system is up to date, make sure it stays safe by wrapping it up in one of the excellent cases featured on our list of the Best Nintendo Switch Cases.